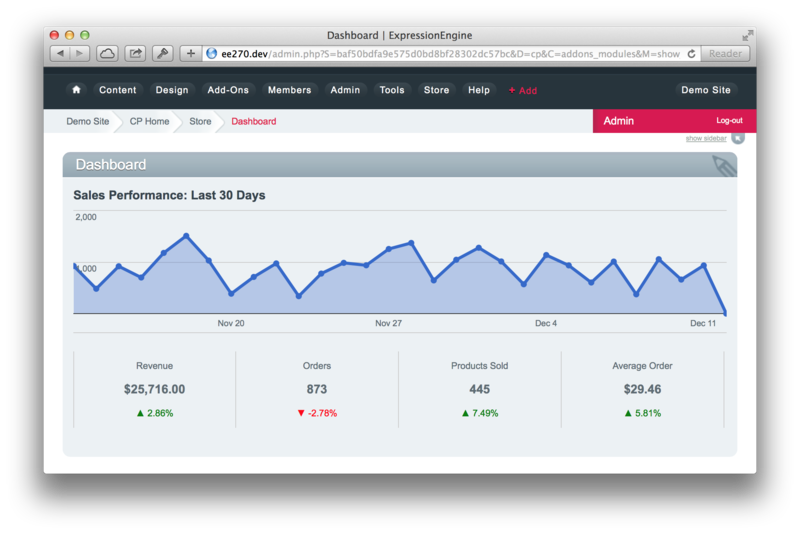 The dashboard provides a general overview of your sales. By default, a graph showing sales performance over the past month is displayed. In addition, you can see staticstics comparing your sales performance to the previous period.